I️ want balance: Navigating between Pinterest perfect and not enough. Over Thanksgiving, I️ had family really push to doing thing “easy” this year. I️ had a problem with that. To me, “easy” is for Monday nights. These nights I️ teach afternoon art class after a full day of teaching 6th graders English. Monday’s are pizza nights and paper plates. Monday’s deserve easy. The flip side here is perfection. You know, Pinterest mom perfection. Picture perfect in every way and in every action. This is often unattainable and makes us feel guilty, crazy and stressed. I get that. However, what I️ see is the over reaction to this. Nope. I’m not having it. Holidays are holy days. They are set apart from our normal routine. They should bring joy and happiness. However, they should be purposeful, and they need balance. The Christmas season has started. As a follower of Christ, the season of his birth has special meaning to me. My celebration should reflect that. So how do you find balance, discover meaning and purpose, and cultivate joy this holiday season? Here are my thoughts. Make a plan. At least for me, I️ get overwhelmed with trying to do too much at the last minute. So this year, I’m being purposeful with my planning. 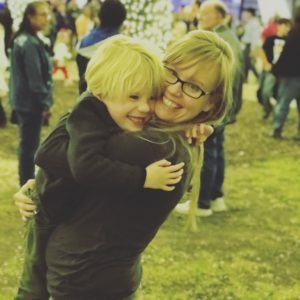 I’m trying a 25 days of Christmas by The Overwhelmed Mom. I’m already adjusting it to fit my life. Did I️ mention Monday’s? We aren’t doing much on Monday’s! I’m taking the calendar and placing all my “I️ really want us to…” on the list. I️ say plan, but don’t control. Be flexible. If things don’t go exactly as planned, don’t flip out. (I️ may be speaking directly to myself here) The plan isn’t so everything goes perfectly. The plan is there so I️ don’t miss out on opportunities due to my own busyness and distractions. Have a purpose. Santa and Elf on a Shelf are nice, but for me they don’t have much of a purpose for me. I’m putting my focus on this that help us grow as a family and in faith this season. 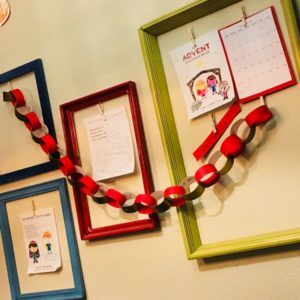 This year I’m doing a paper chain countdown to Christmas and an advent coloring book for my son. I’ve planned a Bible reading for each Sunday afternoon. And I’m completing my own advent study. Make traditions. (Ones that don’t involve consumerism.) This is big for me. Growing up we had a couple tough years where by parents were broke. They felt like failures when we didn’t get a “big” Christmas overflowing with gifts. But do you know what I️ remember most about Christmas growing up? Laying by the Christmas tree looking at the lights with my sister. I️ remember singing “Happy Birthday to Jesus” and eating cake. (or brownies… Jesus loves chocolate as he should!) I️ really don’t remember but a few gifts. Recently, we have started making Gingerbread pancakes on Christmas morning. Even last year, when my maternity leave paycheck was tight, we could make pancakes. My son still talks about them. Focus on the experience. Go to a parade, look at Christmas lights, sing songs, and have game nights. My MIL did a fun thing Christmas Eve where we tried that Saran Wrap game. Everyone was involved, young and old. It was a hoot! Over Thanksgiving, my son and I️ baked pies together. He doesn’t even eat pie. The experience of doing the baking together was better than the final product. Last year, we made handmade ornaments with popsicle sticks. For the experience to be memorable, you can’t choose focus on the mess: dirt, flour, or glitter that gets on the floor. You have to focus on the people involved. Count your blessings but don’t compare. Stress is real, but we often create it ourselves. Shake off your own preconceived notions and expectations of the season. Savor what you have. Over Thanksgiving, I️ literally made a list of my blessings. The page couldn’t hold it all. My life doesn’t look like yours. We can’t compare our circumstances. But we BOTH can count the blessings we have. 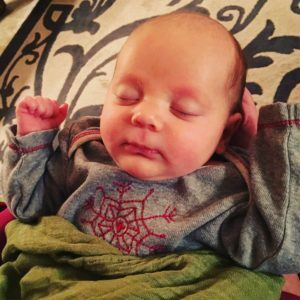 Last year, I️ had a new preemie baby. I️ was richly blessed, but my holiday season looked far different than years past. I️ did small things, but mostly I️ held a baby. For that season, that had to be enough. If I️ would have compared, and I️ did at times, I️ would have fallen short. Maybe you are in that type of season yourself. Maybe you just can’t do everything you want. It’s okay. IT’S OKAY! Maybe for you, just do one meaningful thing, and quit stressing about what you can’t do this year. Put your effort and love in one spot instead of stretching yourself too thin. This Christmas, I️ have a plan, but I’m flexible to change and adjust. 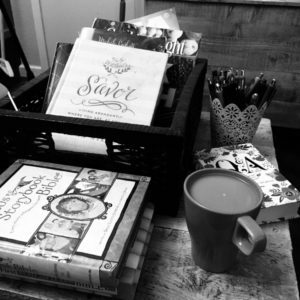 My goal is to be purposeful and make traditions. I️ want to focus on the experience and be fully present. And most of all, I️ want to avoid comparison and see the blessings of my daily life. I love traditions. I especially love traditions that don’t require any consumerism, cost or extra budget. 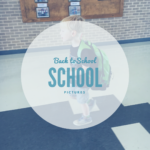 Many people take “First Day of School” pictures: Pre K, Kindergarten, 3rd grade and even seniors. I love it! I love seeing them on social media, and I even love the parents who have been doing it long enough they have pictures to compare. That said, I also hate it. Posed pictures don’t always work well for my kiddo. And mornings… they stink! (I feel like I’m getting a teenager out of bed) And the first day of school brings anxiety, stress, new routines and did I mention anxiety? I’d like to blame it all on my son’s special needs and how “hard” it makes things , but I can’t. I’m a teacher, and first day of school for me is plenty nerve racking on its own. My job is to love, care for, build relationships with and teach kids. More specifically, middle school kids. (Insert your own version of, “Bless your heart.”) I’ve spent hours preparing for my students, setting up my classroom, attending trainings, all while trying to balance that with back to school shopping, creating new visual schedules, going over new routines, and reading “My First Day of School” books for my son. If life is about balance, then Back to School is like walking a high wire while juggling. This year, as I planned for my own classroom and students, I slipped away from a training to attend a staffing for my son. I wanted his new teacher to be fully prepared to meet his unique needs. Most of all, I wanted her to know how amazing he is. I left the meeting knowing he had plenty of support and caring teachers. Tip: if you can meet with your child’s teacher BEFORE school starts, do it! I find that teachers appreciate parent support and involvement. You know your kid best. When passing the torch, it’s good if they know your concerns, and any suggestions you have. I had a parent of one of my students do this, and was the BEST start for an Autistic kiddo I’ve ever had. I knew what worked best for him and most importantly his interests. But I never took a picture. I never got him to hold a cute sign, stand in front of the school, nor did I even try. I just hurried away to make it to my own classroom in time. As my day went on, I watched the clock unable to remember the names of my 138 new students. (I have 4 Isabelle’s in one class period! I can’t even!) My mind wandered to thoughts of my son and how he was doing. None the less, he arrived at my school after riding the bus. He was tired, didn’t say much, but seemed okay. I could have done a “we survived” picture, but it took all my effort to just get home. I basically just forgot. My feet hurt, and as usual, I was loosing my voice from all the talking. Each day was similarly hard. Eventually, drop offs got easier. On Wednesday, we had a full on meltdown after school. He cried. I cried. It was messy. But by Thursday, he finally mentioned school. Well, building a volcano out of wood chips at the playground. By Friday we gathered as a family, crashed on the couch with take out and a movie. You see, relationships with teachers, with school, take time to build. And for some they take a little more effort. I may not have a great first day picture, but I know I’ll have an amazing last day of school picture. When I see last year’s end of Pre-K picture, the one where he was hugging and smiling with his teacher and teaching aide, I have hope. He isn’t excited about school, he would rather be at home, but by the end of the year, he won’t want to leave. As for me, I gained 138 new kids this year. They already have my heart. I’ve learned two thirds of their names, but ALL of their faces. We decided on nick names for that Isabelle class. And my feet don’t hurt as much. I look forward into settling into routine, and coming down from this high wire act. Two weeks later, life settled down. The routine became predictable. He told me about recess, how LOUD gym class is, and how funny his music teacher is. He peacefully walked down the hallway of my school, asking me to take pictures of him spinning. Right then, we got our “Back to School” picture. 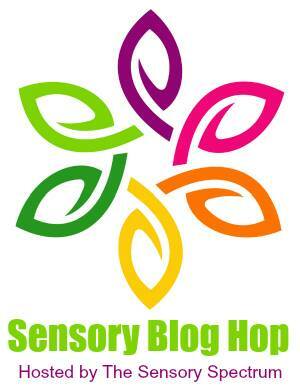 To all those families with special needs, those to whom back to school takes more effort, stay strong. You got this! When you have moments that are less than Pinterest picture perfect, hold tight to your joy, and love the life you have. I really like home improvement shows. Even before I owned a home, I watched them and daydreamed. Color Splash, Property Brothers, Rehab Addict, Design on a Dime, and of course Fixer Upper. 8 or so years ago, my husband and I bought our own “fixer upper” on our shoestring budget. We quickly replaced the roof, painted every room, repaired a fence, updated the some plumbing, and some of the electrical. We finished a partially converted and unfinished garage and turned into an office. Guys, I can tape, float and texture like a pro. Then, we went a little house broke. We started a kitchen update right before our first baby was born. An even tighter budget meant we didn’t get granite countertops, just a nice laminate. I hand sanded and painted the existing kitchen cabinets at 6 months pregnant. I had a serious nesting phase. And of course, we choose a cheaper flooring option than we would have desired. After our son was born, we still had a few other projects but the took a back seat to the baby. I don’t think I did a thing until I started getting more sleep… around 15 months later! A couple of summers ago, I did a DIY floor treatment. It was lots of work, looked beautiful, and didn’t break the bank. But it won’t hold up in the long run. Now, when I see my house… I still see all our unfinished projects. The spot that still needs trim added, the flooring that is cracking and needs to be resealed, the unfinished guest bathroom, the windows that need to be updated, and the leak in the bathroom, while fixed, left sheetrock in need of replacement. My husband still daydreams about tearing down walls and switching up the layout. He’s a designer and dreamer. This Christmas I wanted to have family over and host Christmas. 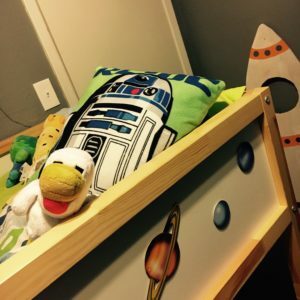 Between baby number two’s early arrival and our unfinished projects, my husband had a stern “NO!” He didn’t want to clean or make our house presentable. I understood. We were both pretty tired. But I think we have a constant fear of our house not being finished, not being good enough, and not being clean enough. We don’t have friends over very often unless they are really close friends. 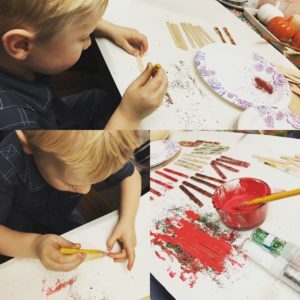 I see all my house’s faults… Our 5 year old doesn’t. “I love my room. I love my planets and all my stars. This boy doesn’t see our house’s faults or the dirt on the floor. He sees the vibrant colors and personal touches. He doesn’t mind sharing a bathroom with his parents. In fact, he enjoys it. He doesn’t see unfinished projects. He sees the room where he reads each night with his parents. He sees his art hung on the walls. He sees safety, security, and comfort. He sees our home from his own perspective and loves it. I’m challenging myself to see it in that same way. I want to see the hearth of my home, and not my to do list. House maintenance is real and important thing. I’m not excusing our laziness, but I am allowing a little grace. And let the real beauty of my home to shine through: faith in the Spirit of The Living God, and the humans who live and dwell here. I want to see the blessings of my security, not a comparison of wealth. So while I’m in this season of holding babies and no free time or free hands, I want to see my home from a child like perspective. I want this to be my favorite place, cracked flooring and all. One of my neighbors has a neat and tidy row garden. Another has a well planned and abundant secret garden of plants and pathways. My garden… well.. I think it started out as companion gardening, planting helpful and supportive plants together. Now, it’s basically a “Let’s toss some seeds and see if it grows there” type of garden. After an eventful year, where garden tending was my least priority, my garden has taken on a life of itself. 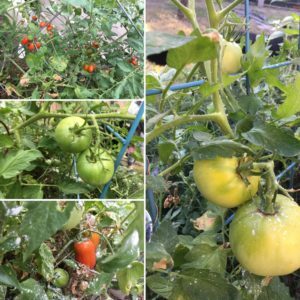 My tomato plants reseeded themselves in places, my herbs are growing untamed, and the three tomato and pepper plants I added are abundant. There are spots that need to be pruned back, weeds that need to be pulled and some plants that really should stay in their designated area! 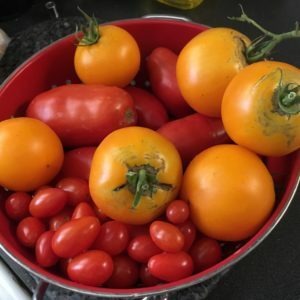 This morning, I had to craw over a bush to pick tomatoes. If I don’t trim back the bush, soon there will be fruit growing beyond my reach. As abundant as my garden is now, I’m reminded that it’s not my green thumb keeping it going. God’s providence is displayed in nature’s bounty. 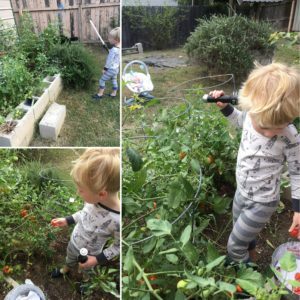 I can tend my garden: prune limbs, water, add nutrients to the soil, deter pests, strategically group plants, scatter seeds. But in the end, I’m not in control. The vines grow where they wish, dying plants will leave seeds that sprout, and the Texas weather will do as it pleases. In the same way I’m not in control of my garden, I’m not in total control of my life. And that’s a hard notion to swallow. I like having my life in order, plans made, schedules and such. This helps me feel in control. I feel like I should be a row gardener. In the quiet of my morning walk through my garden, I realized how much trying to control certain areas in my life has been making me crazy and resentful. I’ve become envious of my neighbor’s “row gardening” lives. I’ve been striving for things, while good, are beyond my current reach. I do have places I need to tend to, places where I need to pull weeds and prune the back the overgrowth, but I need to loosen my grip in a few areas of my life. I love my messy, overgrown, “companion” garden. And if I’m honest, I love my messy, “never in a row” life. Even the thorny parts. It’s just hard sometimes. And really, if I had it all together, I wouldn’t be outside in my garden in my PJs. I wouldn’t be lifting a tiny “Darth Vader”, who is wearing mix matched PJ’s that are two sizes too small, into an overgrown tomato garden. And this morning, I see this picture in all it’s “not in a row” glory. So I ask, how does your garden grow? My kid wrote, “I like to draw pink.” Not me… him. He was drawing with pink on the picture when they asked him, and he was probably stuck in that moment. I didn’t expect deep though because… well, he is a goofball! After hearing his classmates say it during the presentation, he kept repeating, “You’re the best!” It was totally cute. That same week, I had my middle school class make Mother’s Day poetry pop up cards. Anytime I do something family related I preface it with, “Every family is different. Do what works best for your situation.” My students have a variety of home situations. Moms, step moms, grandmothers, dads who take up the role of moms, and some who have lost their moms altogether. Mother’s Day can be painful. It can open old wounds. And when we compare, we all fall short. Comparison is also the thief of our joy. Competition is great for business and sports, but not motherhood. 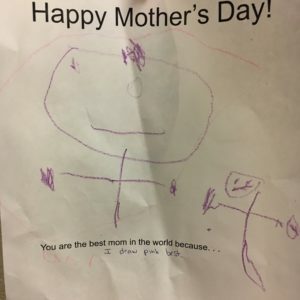 I’m not the “best” mom. In fact, the morning my son presented me with my award, seriously lost my cool because we were late. Really late. Again. Sometimes we lose it because of the expectations heaped upon us from others. But most of the times, it because of the expectations we lay before ourselves. The type of parent we want to be, what we want to achieve, the to-do-list we want to complete, the goals we want to meet. Before long, we realize there aren’t enough hours in the day, we can’t physically do everything, and we have created disorder. In the midst of our struggle, we have lost our joy. My floors are dirty, I have epic laundry piles, I can’t make it to every school event, and I’m just so tired some days. I’m great at some things, and stink at others. But, I am enough. I am enough for my children. I am enough for my family. I love them with all my heart. I can celebrate love rather than perfection. So, remember you are enough. 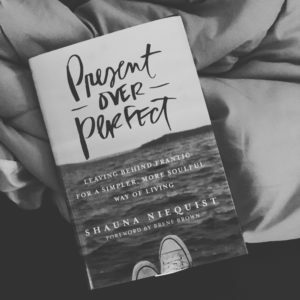 Perfection is overrated and exhausting. May the God of peace be with you on this Mother’s Day. How do you write an email to your child’s teacher? Seems simple enough, right? Just type up your thoughts and hit send. But you might be surprised at the handful of oddly worded, grumpy, or just plain mean emails even an amazing teacher, ehem.. like myself, might receive. 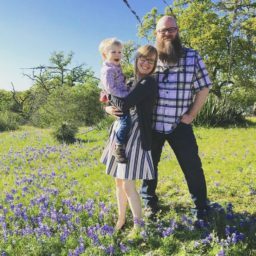 I feel I have a unique perspective on the matter: I have been teaching for the last 7 years and I have a child who recently started attending school and has unique needs. In reality, parent-teacher communication is a part of my daily life, on both sides of the fence. While I will be the first to admit that I am not an expert, I do have a few thoughts on the matter. Awhile back, I received and email that started out with “Don’t you realize….” and proceeded with a large list of complaints that ended with a demand. Here is the context: I received this email on my phone. I saw it pop up on my phone at 7:30am as I was walking my own child to his classroom to start his day. I was immediately flustered, and fought the urge to view it right then. Instead, I focused on my kiddo’s normal routine, rushed to my school to be “on duty” and then start my first period class. But with three simple words, a parent immediately set me on the defensive, regardless of the content that followed. As I read the email, I realized they had read my last email wrong. I send out weekly emails to all my classes. I wanted to be snippy and reply “Do you realize this email was intended for ALL of my 130 students and their parents as a reminder of their homework” but I took a breath, held my tongue, and decided to type a point by point response on my planning period. Less than an hour later, the head of one department politely interrupted my class. She had received a phone call from a parent. “Had I responded to their email yet?” “No”, I replied, “I’ve been teaching all morning.” It’s rather embarrassing to have a parent “go over your head.” In the end, I typed my response, the parent seemed satisfied, and the student’s needs were being met. But I did spend the majority of the morning rather tense. Truth: Teachers have feelings and we take our job seriously. And we honestly love your kid, even when they are tough. – I lose sleep worrying about your child. I feel deeply. My job often interrupts my personal life. I email my son’s teacher on a weekly basis. But, a few weeks ago, he went from doing really well to three epic meltdowns in three days. One was bad enough they called my husband, who happens to be the primary contact since he can actually answer his phone and leave work during the day. By the third day, I wanted to scream, “What’s wrong! What changed! 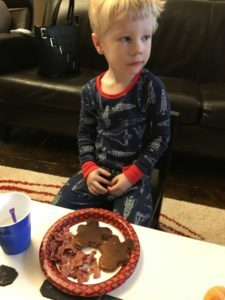 Why is my little boy so angry!” Instead, I took a deep breath and thought back to how I wished more parents would respond to me. Don’t take an accusatory tone. Placing blame won’t solve anything and immediately places a teacher on the defensive. Just say what happened. Let them know what you noticed and ask them what they suggest as solutions. Remember: You are the expert on your child but they are the expert in the classroom. Feel free to offer suggestions, but sometimes what works at home is hard to adapt to the classroom environment. End or begin each email with some form of gratitude or appreciation. Most teachers are trying their absolute best even on a rough day. I have a friend, who posts on her social media all the amazing things that her child’s teacher does to meet his individualized needs. Yes! Your teacher would love you to brag on them when they go above and beyond, not just gripe when we mess up. After your email is sent, allow processing time. Our district asks us to respond to parent emails within 24 hours. I’m sure other’s have similar rules. Don’t expect an immediate response, even though you might get it. The teacher is in a classroom full of students. We rarely have time to use the restroom, except on our designated planning period. If it’s that urgent: call the teacher. And don’t go over their head until you have given them time to respond. Thank you for keeping us updated and handling the meltdowns this week. Since he had three meltdowns in a row this week and none last week, I’m not sure what is different. I noticed, each day he had meltdown, he didn’t each his lunch. Is he eating the school snack? At home, his meltdowns are worse when he doesn’t eat much. Could this be a factor? What could we do about it? We actually had about three emails back and forth, but in the end the teacher suggested he take a sensory break before lunch. And it helped. Problem solved… until the next one arises. In the end, I’m glad to be working for a district whose motto is “To love every child.” I’m doing my best to follow that in my classroom. In return, my hope is that my child will be loved and cared for by his teachers. After all, It takes a village!